How Can the Cartorisk Sham Method Boost Up the Risk Management in the Healthcare System of Piedmont? 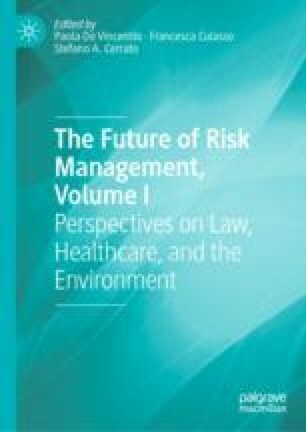 An increasing number of researches have dealt with risk management in healthcare organizations. In Italy, the “Gelli” Law has recently stated the safety of therapies as an integral part of the human right to healthcare as established by the Italian Constitution. However, healthcare organizations need to know how to identify, face, and prevent the risks. The study analyzes the risks connected to the services provided in excellent hospital units of the Piedmont Region by the “Cartorisk” tool. Firstly, it maps the risks of the main health service supply processes, the barriers used to contain them, and the residual risk that has to be managed. Secondly, it identifies specific activities useful to improve patient safety. Nisio, A., & Magrì, F. (2016). L’ERM nel settore sanitario italiano: proposta di un modello. Retrieved from https://www.researchgate.net/publication/304412755_L’ERM_nel_settore_sanitario_italiano_proposta_di_un_modello.